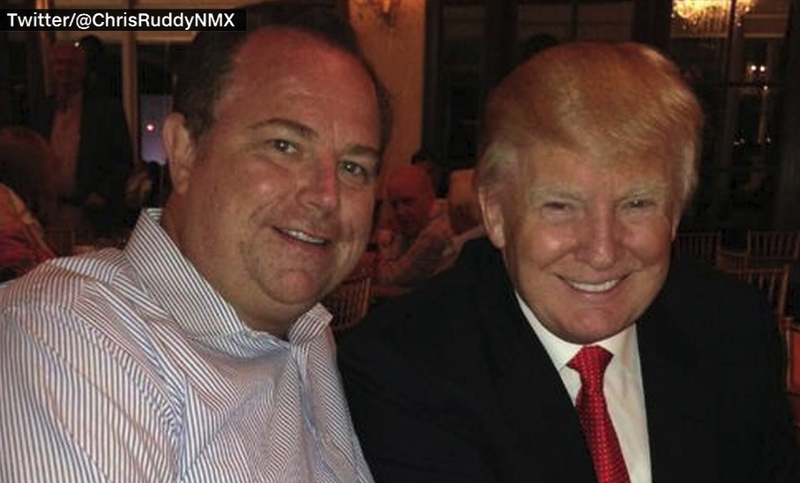 Newsmax CEO Chris Ruddy described himself as an "enemy of the people" who supports President Trump during an event Tuesday evening, amid a recent escalation in tensions between the White House and the press. Accoridng to The Hill, Ruddy was among roughly 30 business leaders who attended a dinner with Trump at his New Jersey golf course on Tuesday. After the president delivered remarks about his administration's economic successes, several guests went around the room and made brief remarks. Ruddy, a friend of Trump's who runs the conservative website, introduced himself as "an enemy of the people that actually supports Donald J. Trump." Some in the room laughed at Ruddy's comments, a reference to the latest moniker the president has deployed against the news media. "Thank you very much, Chris," Trump responded. Ruddy recently defended Trump's outbursts toward the press, saying he believes it "comes out of emotion" in response to negative coverage.